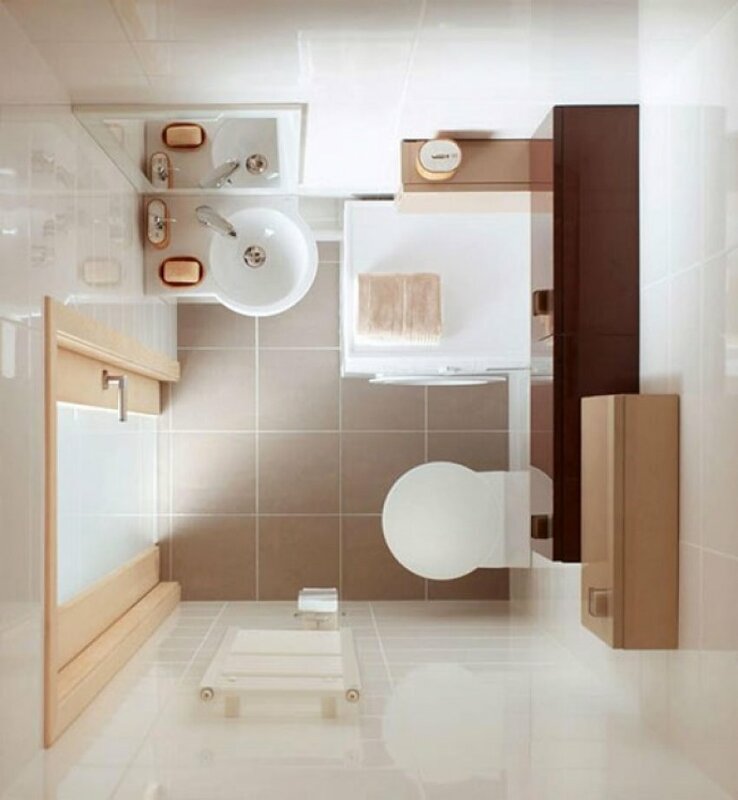 Bogged down by your tiny-looking bathroom? Well, don’t be! 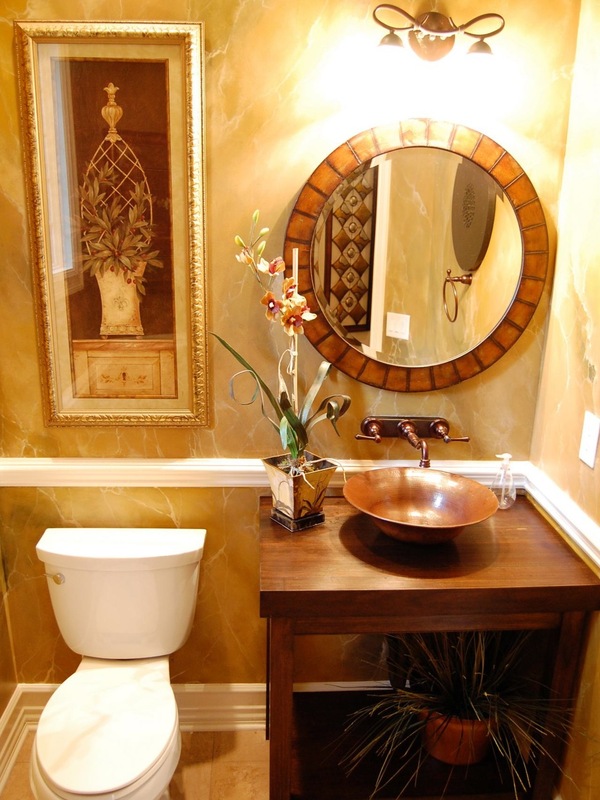 Small bathrooms hold a lot of promise! 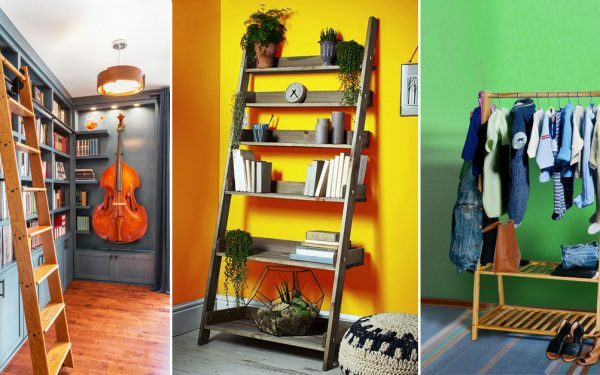 You just need the right aesthetic sense and some smarts to be able to strike the right balance between leaving a room and adding décor elements. 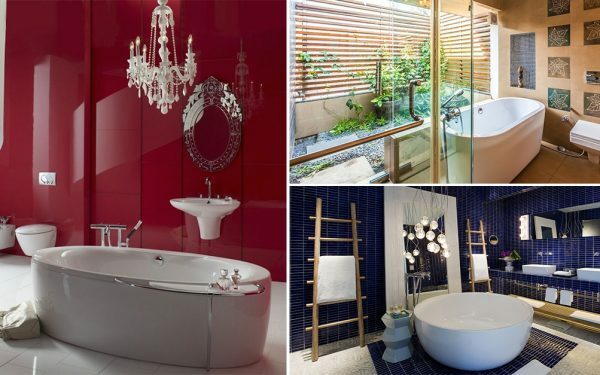 Here are 11 clever ways to go about making your bathroom nothing short of something right out of an interior magazine! 1. A door with an inset glass adds significantly more light to the bathroom compared to a regular door that blocks out all the light. What it also does is, create an illusion of more space than there is. 2. 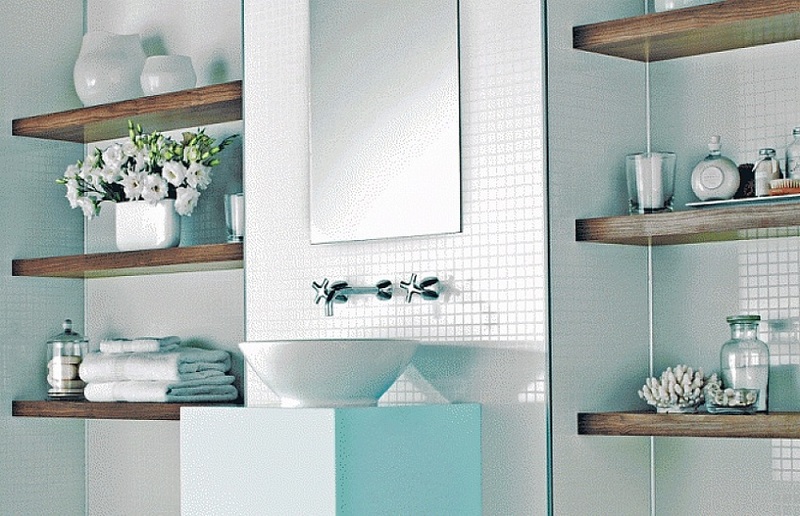 Install open shelves in your bathroom instead of having everything behind closed doors. 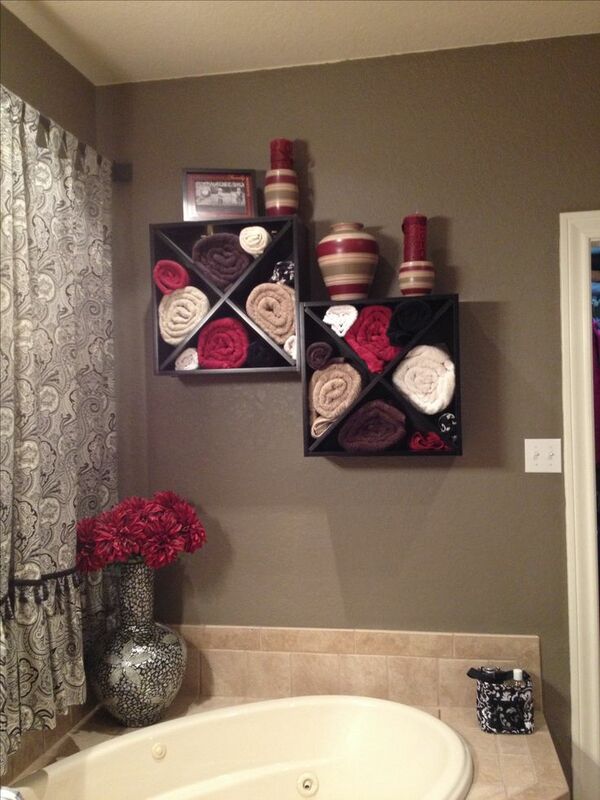 Your towels can then become a part of the décor, rather than being hidden away behind cabinet shutters. 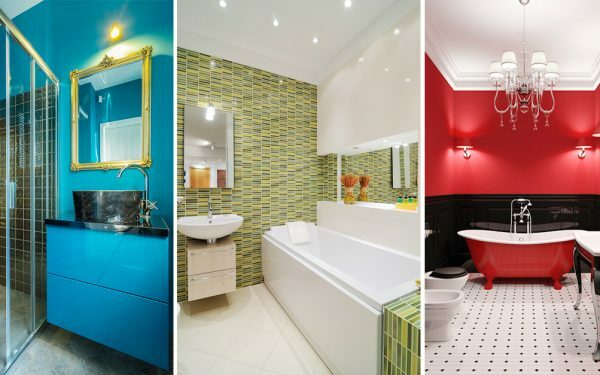 The more colorful they are, the more colorful your bathroom becomes! 3. 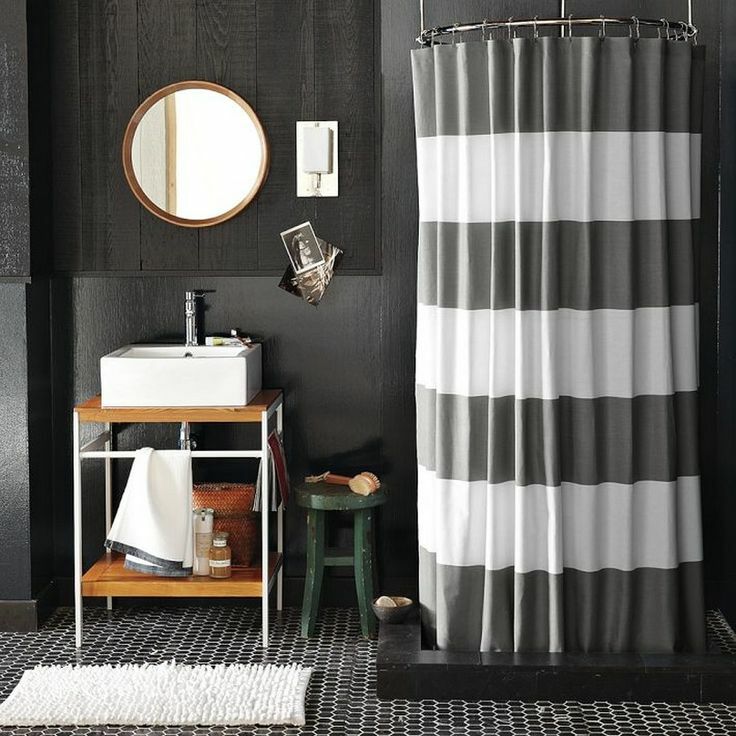 A stylish shower curtain saves a lot of space when compared to a glass partition that also requires more maintenance. 4. A cumbersome shower cabinet can be replaced with a smaller cubicle towards the edge of the bathroom to save space. 5. 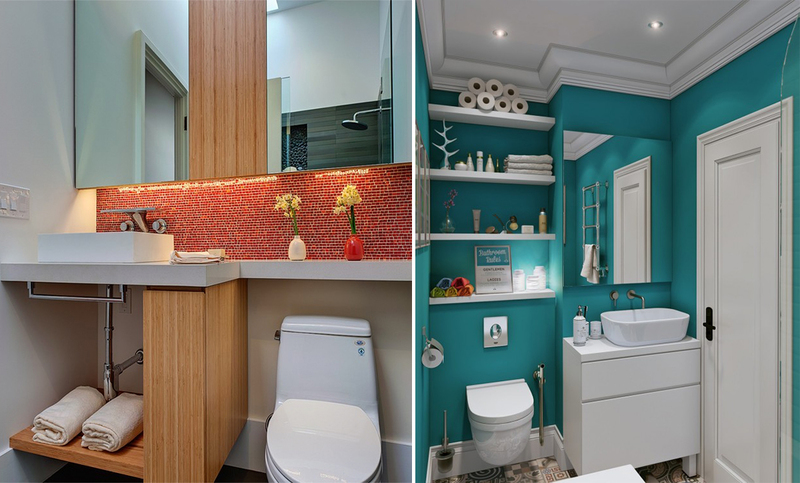 Before painting your washroom, ensure you have decided on the shading palette. 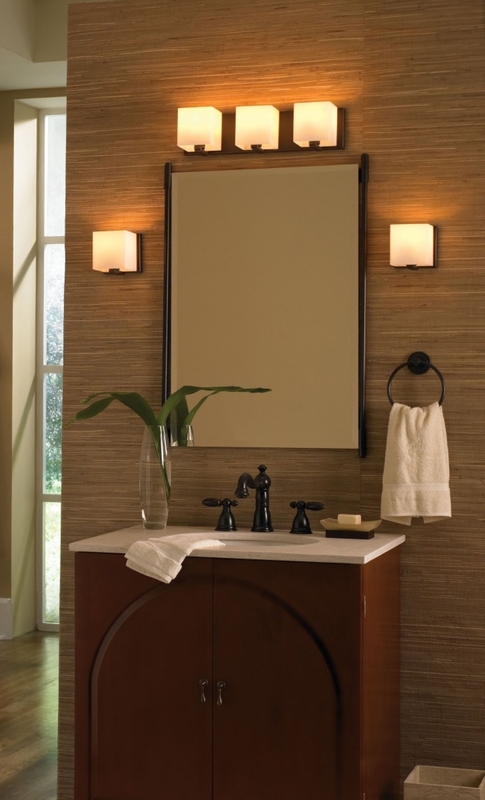 When deciding on the paints and colors that you use in the bathroom, choose neutral colors to make the space feel modern and large. 6. 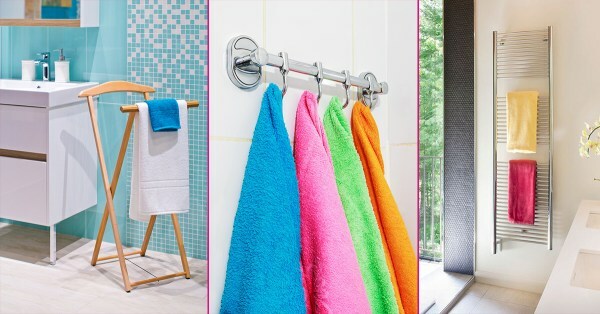 Another way to improve your bathroom is to keep colorful towels, on display. 7. 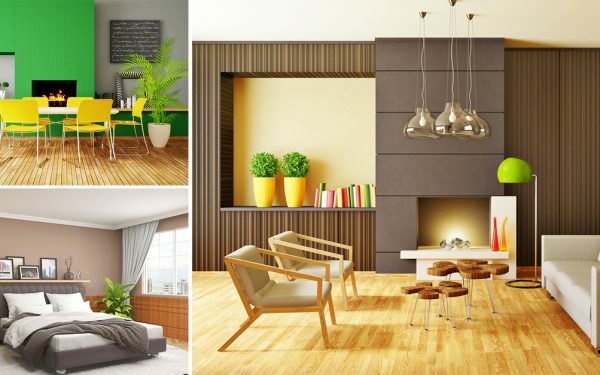 Always ensure there is a lot of natural light filtering in. 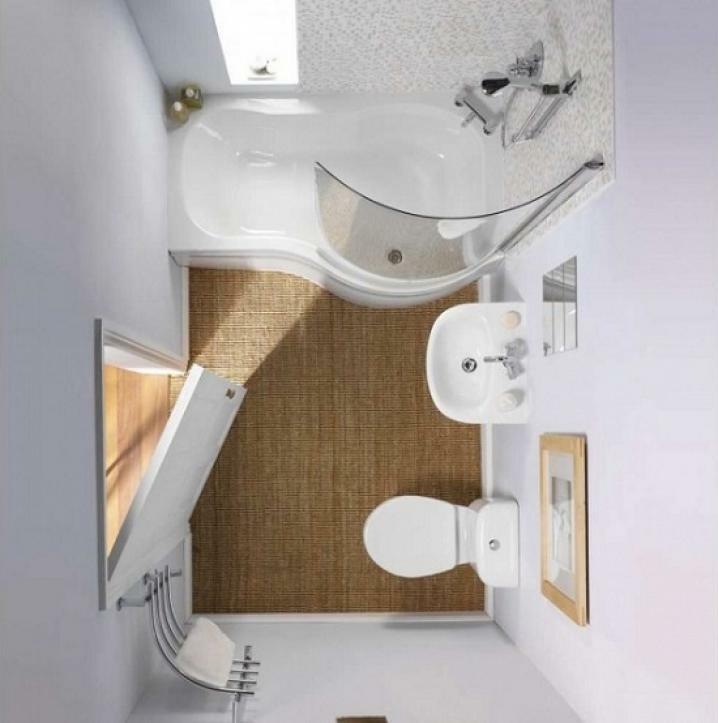 This way, your bathroom will appear spacious and fresh. 8. 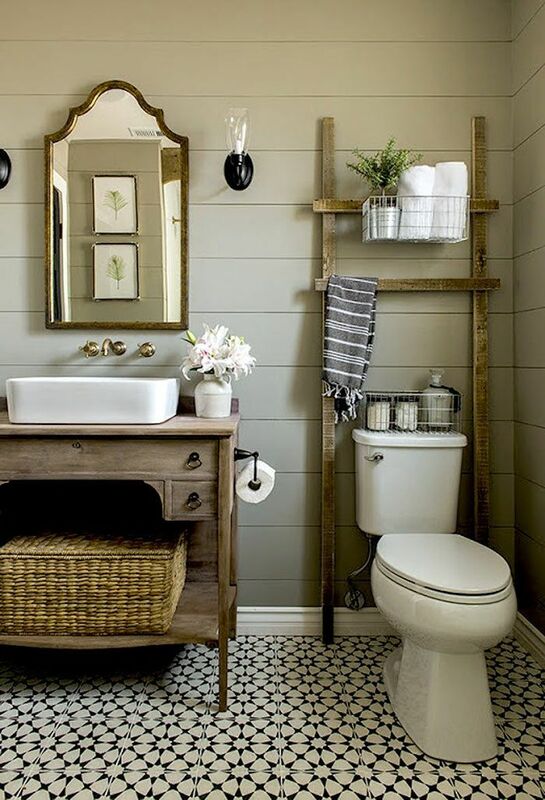 Choose small scale fixtures to maximize floor space. 9. 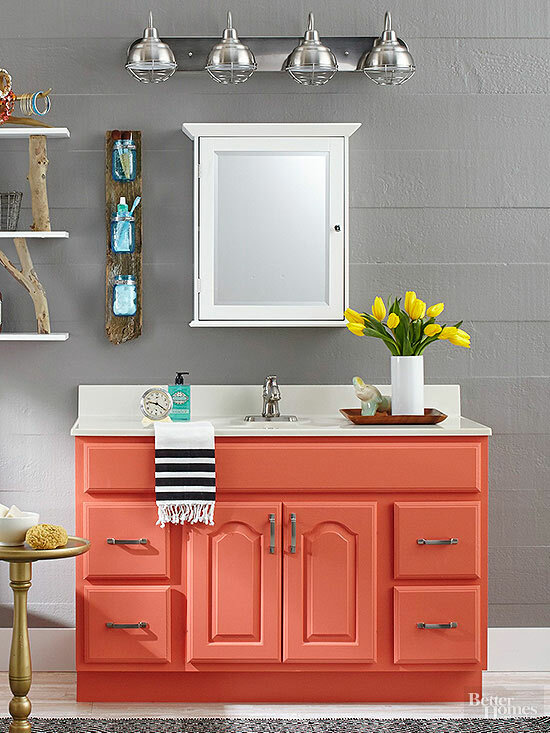 Make storing fun by infusing a splash of color into your cabinets with paint or just a brightly colored adhesive paper. 10. 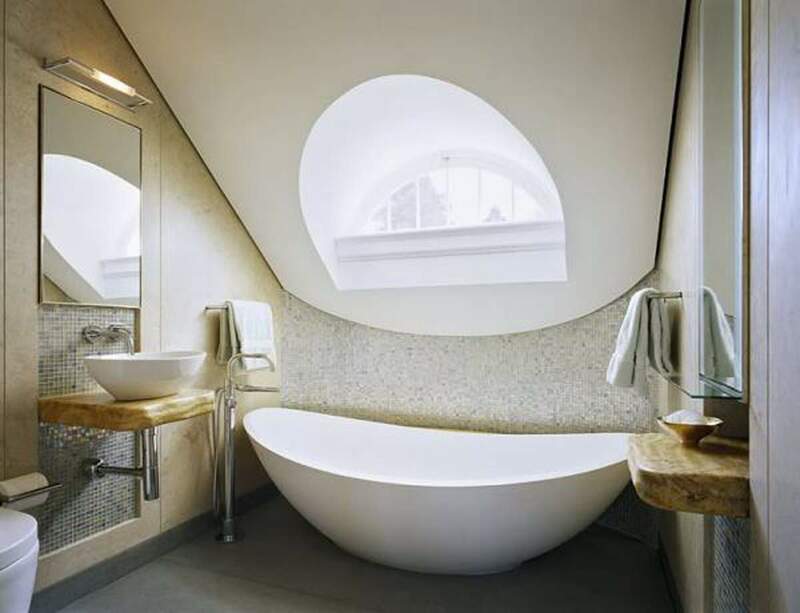 Choose a sit-in bath instead of a large bathtub to save space! 11. 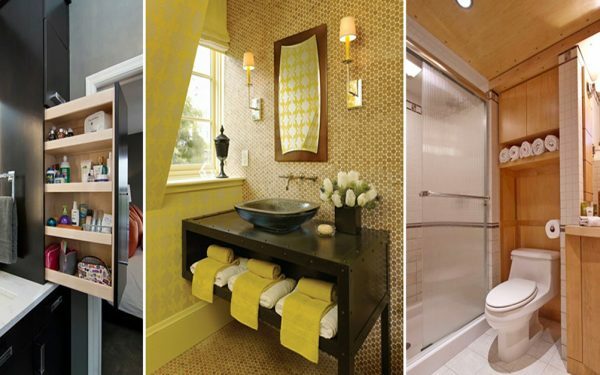 One incredible part of small bathrooms is the way that a little room requires less furniture. Therefore, whatever you put in there can be top-of-the-line and lavish. Think about it!